Sure I’ll Explain Ayn Rand for You! A joke that made the rounds among sophomores of the mid-1960s. Came to mind after I posted the book review on The Virtue of Selfishness. I gather from the email forwards that someone’s not satisfied Ayn Rand has been accepted as pathetic enough, wrong enough, dead enough to be left alone. Subject lines by non-psychiatrists, non-psychologists are taking the trouble to declare her a lunatic. Poor, sad, bitter woman trapped inside a self yearning for men to be hairier chested, more muscled-up, more knock-em-around, slap-em-down and screw ’em. More like the good old days, taking what they want from anyone too weak to keep them from it. I wonder why they don’t just leave her the hell alone. The 20th Century had no shortage of miserable, confused people, plenty of them writers, submerged in bitterness and misplaced notions of how it could be better. But nobody ever bothers dragging Plath up out of the grave and horsewhipping her. What the hell. Good morning readers. Thanks for coming by for a read this morning. I promised a few days ago I wouldn’t tell you any Texas history anecdotes, but I’ve already got Old Sol’s sober promise to come up on schedule, the cats are fed, and I probably ought to write about something just to prove I can. 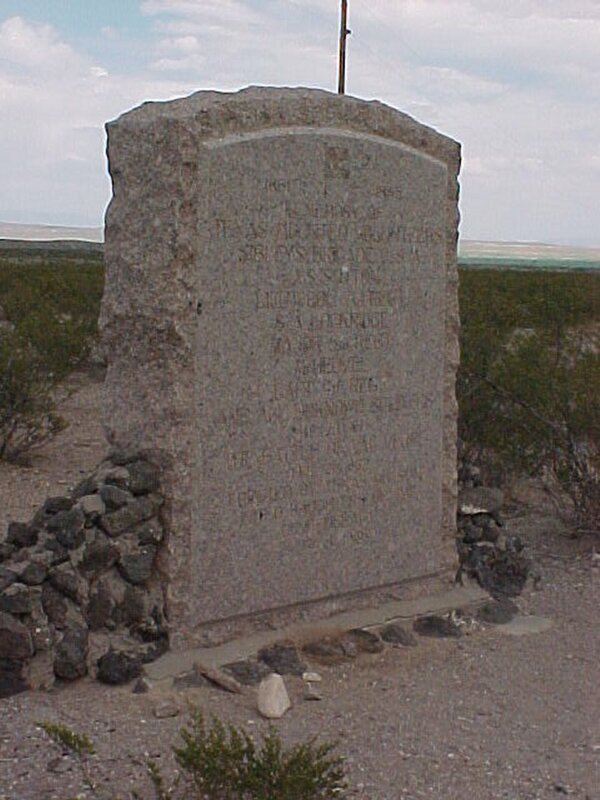 I mentioned Texas invaded New Mexico twice, once in 1841, then again during the early stages of the US War of Secession. Both of those episodes were characterized by more human folly on both sides than anyone has a right to be part of, but one man, JS Sutton, was right up front for both of them. First name on the monument. Captain in the 1841 Expedition, Lt. Colonel in the second. Never got another shot at a third try because he was offed at Valverde. But he must have been considered an expert on the second because the 1841 group surrendered without firing a shot and got frog-marched barefooted southward across the same route Sutton followed north to his death two decades later. Sutton was a courageous, interesting man, lived a life I’d call worth living, but couldn’t seem to keep his eye on the dirt where he was standing, and it eventually got him killed. As far as I’ve ever been able to establish, he was the only man involved in both expeditions. 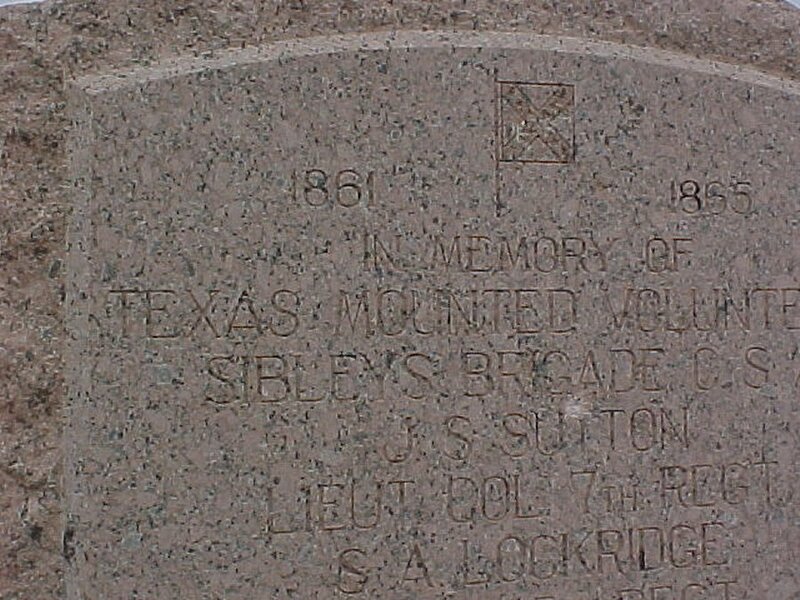 However, there was a Lockridge [second name on the monument] involved in the 1841 debacle, shot himself while they were camped at Bird’s Battleground near Three Rivers. Maybe this later Lockridge killed at Valverde was a brother, son, cousin. Almost certainly kinfolk, in any case. Some other similarities between the two expeditions involved both commanders spending a lot of their time drunk, generally being logistically ill prepared for the task, and plenty of poor command decisions to help it along. That second expedition, however, came inches from being a success in the sense of achieving the main objective. Driving the US Army out of Fort Union. The secondary objective, Sherrod Hunter driving west, taking and holding Tucson, probably was doomed from the first. Nobody could have anticipated the California Volunteers marching east with the equipment and numbers they managed. Hunter’s force of 500 retreated from Tucson early in May, headed back to the Rio Grande with plenty of difficulties with Apache and desertion. Only twelve of the force, including Hunter, arrived in Mesilla finally in August. Which left them with one hell-of-a-long trek back to Texas and a long war to fight and lose when they got there. Hi readers. I don’t know whether I’ve ever mentioned on this blog that I’m a big admirer of a lot of young adult fiction writers. Mainly Newbery Award folk because I wouldn’t take a chance on anything else that didn’t come highly recommended. 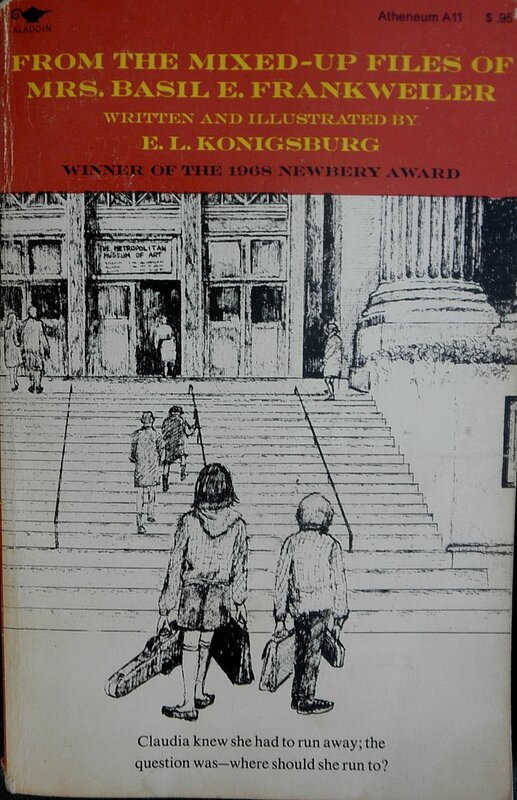 So, when I found From The Mixed-Up Files of Mrs Basil E Frankweiler, by EL Konigsberg in a 10 cent basket at the dogpound thrift store in Kerrville, I snagged it. Same as I’d have done with any Newbery. I’m glad I did. Fact is, while I haven’t encountered many books with that award I considered unworthy of the time spent reading them, occasionally I have. But this one’s from back when writers were writers and readers were glad they were. The basic plot’s just a brother and sister who decide to run away from home. But beyond that summary it becomes a reading experience, as opposed to the alternatives too frequently provided in best selling books. The kids each have talents, each balancing the weaknesses of the other, each recognizing that fact, and the entire plot and characterization orbits it, relies on it. The brother’s the financial side of things. The sister’s a planner. So she plans where two youngers could probably really have gotten by with hiding in 1967 for a couple of weeks without being discovered, without getting bored. And the brother provides the funds needed to get there with his winnings from cheating at cards on the school bus. What’s not to like? Hell, nothing’s not to like. It’s a fast read, so it leaves the reader with plenty of time to read it twice, which he’ll want to do if he’s an admirer of good, serious wordsmithing manifested in plots, characters and fast moving events. They hide in the Metropolitan Museum, evade guards, study a sculpting by a master, discovering secrets about it, and bathe in the fountain at night fishing for coins. Great read if you aren’t a snob who only reads really good Stevie Ray King, Norbert Robbers and Louis L’Amour. My first introduction to science fiction came in the Portales Junior High School Library around 1958. One of the first of the hundreds of Sci-Fi books read over the course of a lifetime was Red Planet, by Robert A. Heinlein. Probably Keith, one of the readers of this blog, stood beside me in PJHS Library and argued over who’d get to check it out first. The library didn’t include a lot to select from and we pored over them all. Thunder and Roses, by Theodore Sturgeon. City, by Clifford D. Simak. The Martian Chronicles, by Ray Bradbury. The Stars are Ours, and Star Born, by Andre Norton. And anything by Robert Heinlein. Written in 1940, Waldo must have been one of Heinlein’s earliest novels. By the late 1950s it was still too early to be profound. Most of the setting, plot, concepts Heinlein visualized in 1940 hadn’t yet come to pass. Hadn’t made their way into human reality in a form more concrete than a pleasurable indulgence in imagination set to words. My memories of reading it were vague compared to hundreds of other works by Heinlein and other visionaries who hammered and blasted the new genre into mainstream readership. So when Waldo showed up in a box of books in the Saint Vincent de Paul Thrift Store in Kerrville for a dime each and I bought them all, noticing Waldo among them, I was only mildly interested. Another couple of hours of something to read before dropping off to sleep, I figured. I was wrong and discovered how wrong I was roughly 20 pages into the book. Squinted, read and re-read it far past my normal sleep time. Read it again the next day. Twice. Aside from a goodly other phenomena Heinlein described in 1940 that eventually came to pass decades later, he discusses others that haven’t yet made it into mainstream thinking. One of which includes something I’ve been examining with insane intensity during the past several years, began experimenting with during the late 1990s. Dropped, partly because of Y2K, partly because the Internet and home computer RAM didn’t yet allow the accumulation and examination of sufficient evidence to arrive anywhere beyond conjecture and assertion. Thankee, Saint Vincent de Paul Thrift Store. And thankee Robert Heinlein, particularly for this one. I keep Waldo close at hand, thumb through it when I’m pondering where things are going as I go through my daily downloading rituals, working my way through the maze to the center. If not, you’ll at least enjoy a fun plot, good characters, a couple of hours of science fiction back when that’s what it was. Me: Wassat? 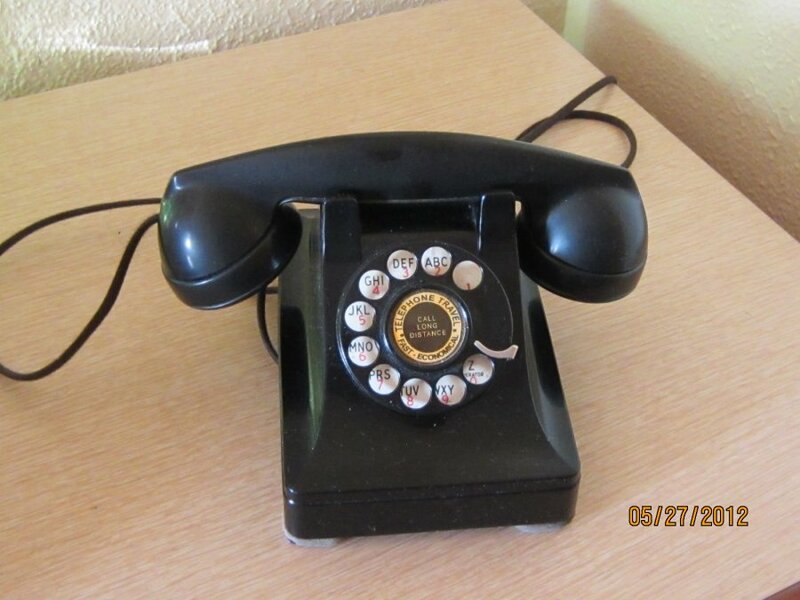 The damned telephone? Where the hell is it? Ahh! Under that. Get off there, cat! Me: [scowling. Into the phone.] This better be good. Telephone: This is George Armstrong Custer MacGruder. I’m calling for the president. Telephone: President of the United States. Me: What? The black guy? Tell him I don’t vote. Telephone: He knows you don’t vote. Me: Then why the hell are you calling? Telephone: He reads your blog. Hopes you’ll answer some questions. Me: I don’t want some president nosing around in my affairs. I don’t stick my nose into his business. He needs take care of whatever it is he does up there. Telephone: Nothing he’s tried so far is working. He’s casting around for ideas. desperate. Me: That’s laudable, anyway. You’ve got the wrong number. I don’t have any ideas. Tell him to take up Zen. Learn to use the I Ching. Me: Yeah. The Book of Changes. Chinese. Divination. Confucius. All that. The John Richard Lynn translation of Wang Bi’s the best one I’ve found. Yarrow stick method. Damned coins will throw you off. Tell him to pay close attention to the changing lines. You still there? Telephone: I’m taking notes. Sorry. Me: Anything else you need? I’ve got things to do here. Telephone: So you’re saying the President needs to consult an oracle? Me: You said nothing else is working didn’t you? Telephone: Can you think of any other advice you’d like to give the President? Me: I don’t give advice. Except I advise you not to call me again. I get pissed off sometimes when people bother me. Telephone: Could he send you an email? Me: As long as he’s not trying to sell anything, persuade me to vote, or ask my advice.